We are an enhanced Third Party Logistics provider offering one stop shopping for your Business to Business and Business to Consumer needs Canada wide. We provide Quality Assured fulfillment and distribution of Consumer Goods, Natural Health Products, Advertising Material, POP, Publications and just about anything else you need to send to your marketing team or customers in a time sensitive manner. Our Customs and Transportation Management group helps you manage an effective supply chain throughout North America, including Truck Transportation, Air Freight and Ocean Container shipments to and from anywhere in the world. We start by developing a customized transportation and supply chain management solution for your business. By selecting carriers and establishing a routing process that reduce your freight costs and improve service levels, we help you achieve your goal of improving client satisfaction. 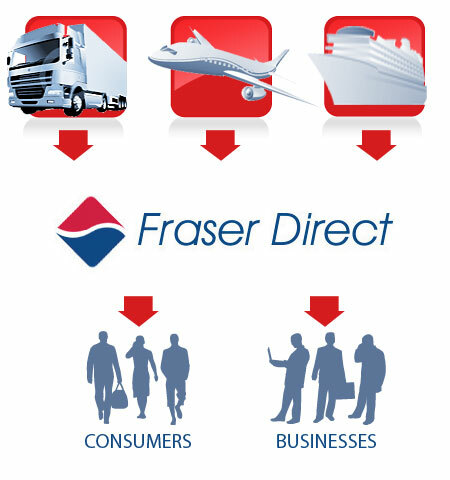 At Fraser Direct we get to know you and your business. We create long-term partnerships where your success is our goal. We are flexible enough to do business your way. That’s the Fraser Direct Difference.